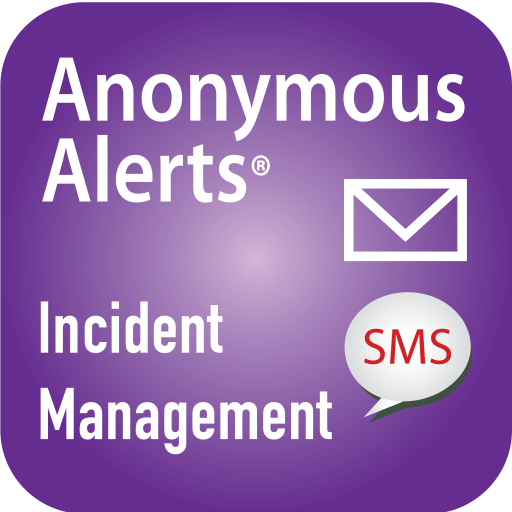 Anonymous Alerts® is an easy to navigate and powerful solution for students to report inappropriate behaviors, campus safety threats and sexual harassment on college campuses. It is simple, secure and enables students to quickly report incidents related to bullying, cyber-harassment, sexual assault, depression, self-harm, dating violence, drugs, weapons and safety threats, or other unusual behavior which may warrant immediate attention by campus officials. The reporter of the incident can establish anonymous 2-way communications™ with campus officials. 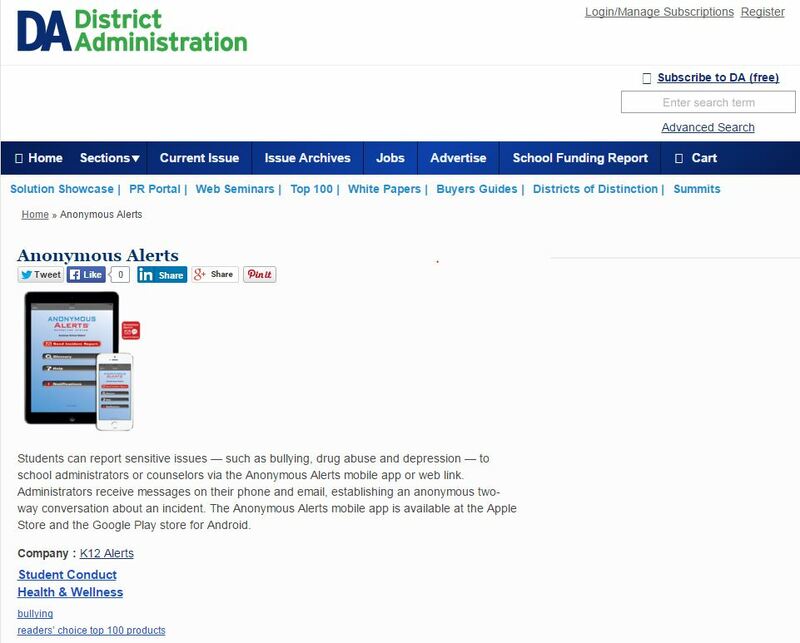 Anonymous Alerts® has been recognized as one of DA Magazine’s Top 100 Products of the Year multiple times. 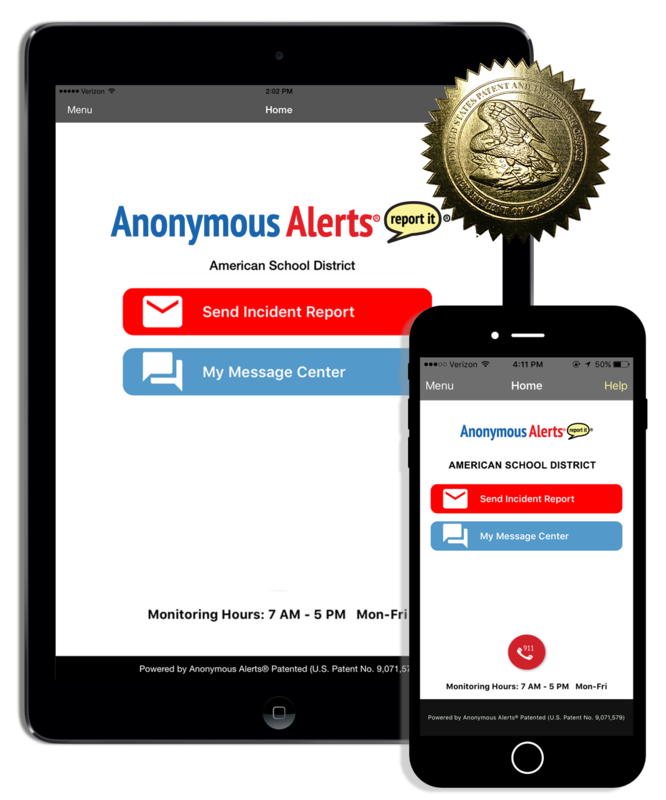 The Anonymous Alerts® Incident Management App™ was designed for school campus officials to view, track and reply to any type of incident submitted by a student via the Anonymous Alerts student-reporting App and system. A campus official can also establish a anonymous 2-way dialogue/communications with a student or parent who has reported bullying, cyberbullying, gang-related issues, guns/weapons in schools and more which may warrant immediate attention by school officials. The system is simple and secure for campus official’s use and is Patented.